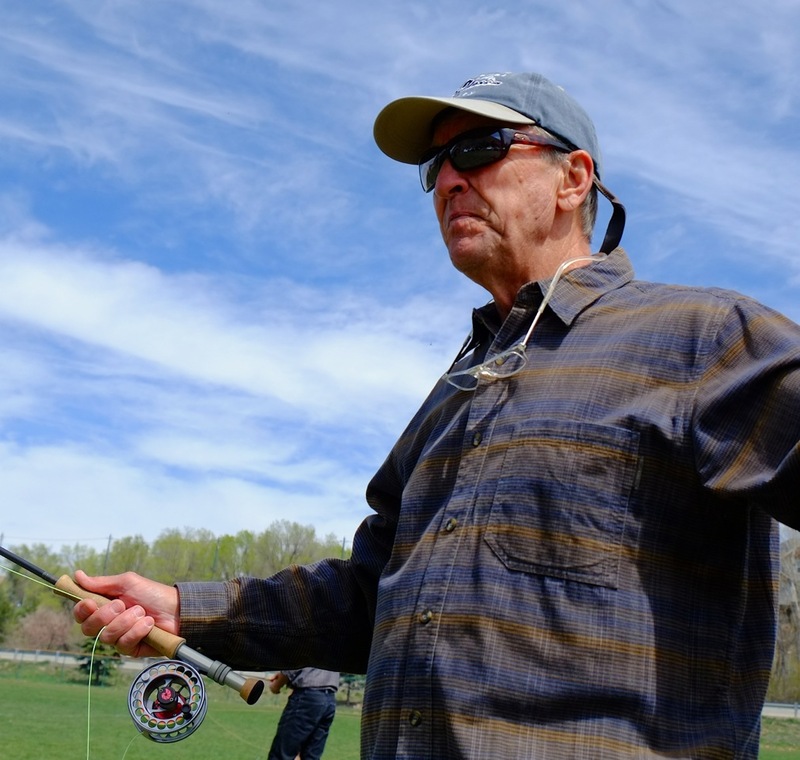 This past Friday and Saturday kicked off our annual Spring Fly Fishing Festival. 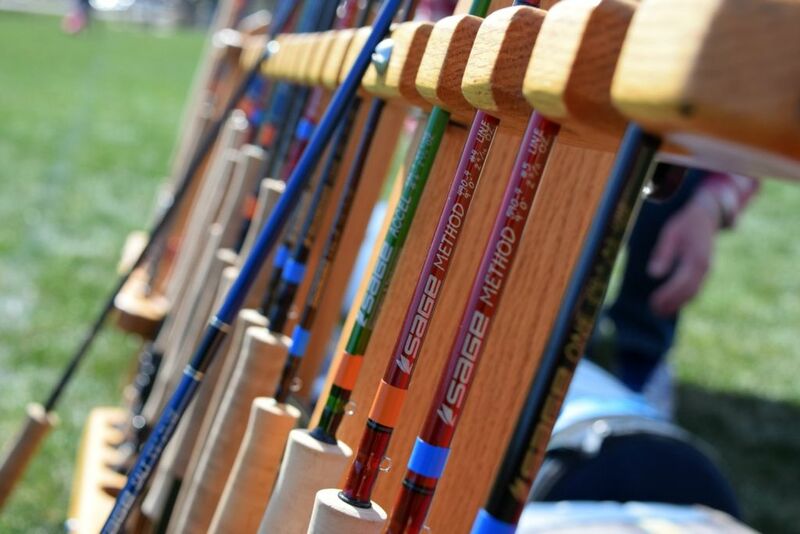 Our Spring Fest is two days jam packed full of all things fly fishing. 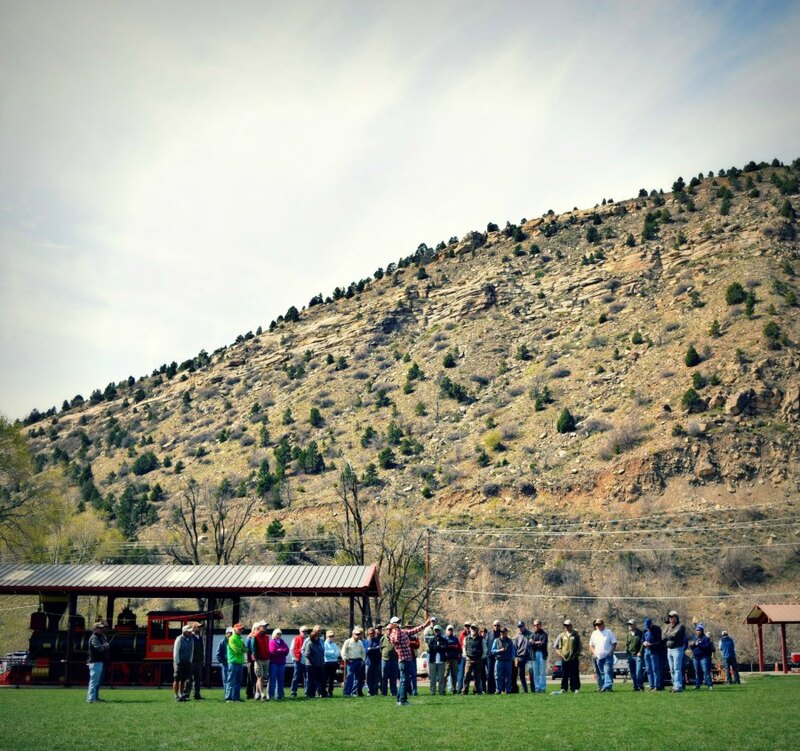 From gear demos, clinics, doorbuster deals, free stuff, giveaways, free food, and lots of fly fishing hang outs. 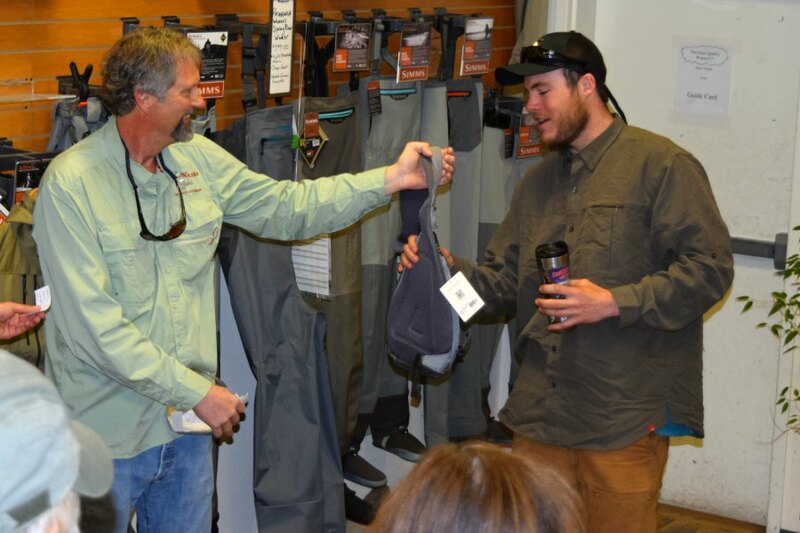 Reps from Patagonia, Simms, Sage, Scott, Ross, Umpqua, Abel, Costa, Smith, Fishpond, and Lamson were on hand to present gear and answer anyone’s questions. 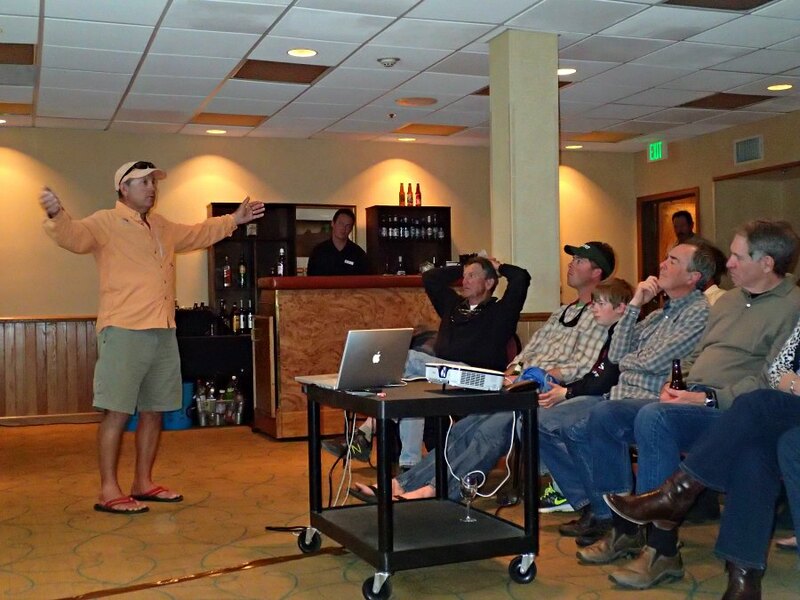 First out of the gate was our Simms rep Chad Harkins who presented the technical and practical aspects of layering while on the water with Simms layering and outerwear. 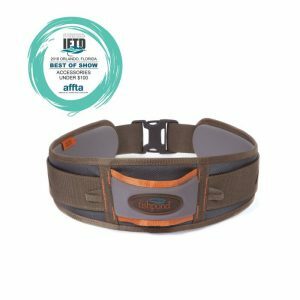 Simms makes bombproof jackets and waders and it was good to hear how the rest of their technical gear can work together to keep you comfortable in the cold and wet or dry and hot climates. 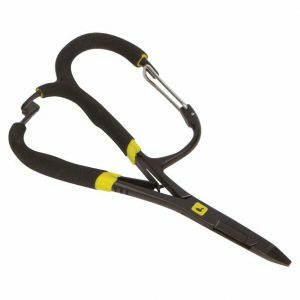 Got Polytetrafluoroethylene? Newcomer to our event was Dave Allen of Patagonia. 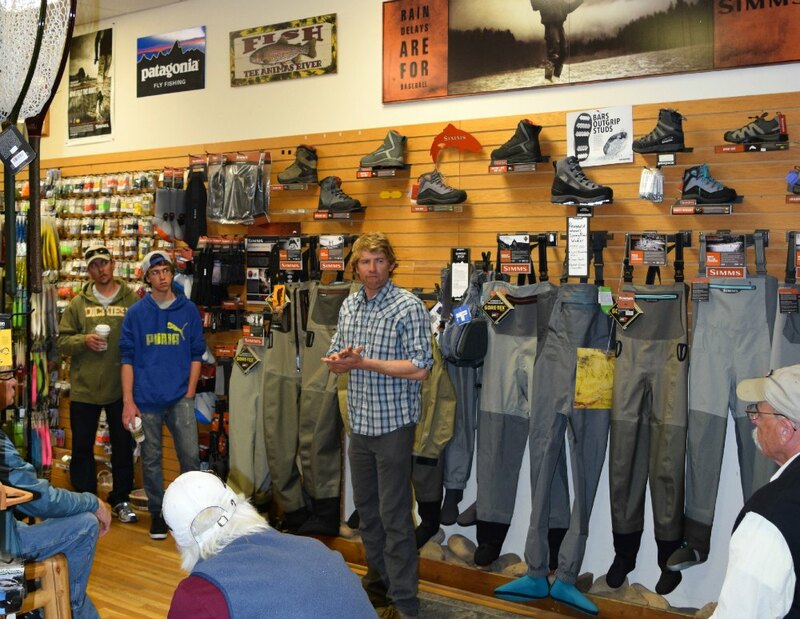 Dave discussed Patagonia boots, bags, and packs to a full house and many were presented with the very real benefits that Patagonia Foot Tractors bring you on the river. 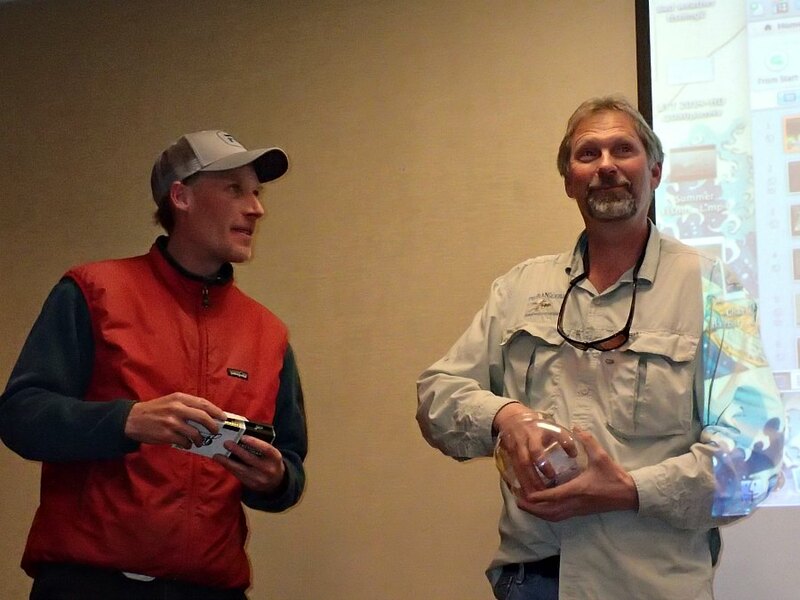 As always, Scott Rep Frank Smethurst gave a great and insightful presentation on creative fly rigs that catch fish. 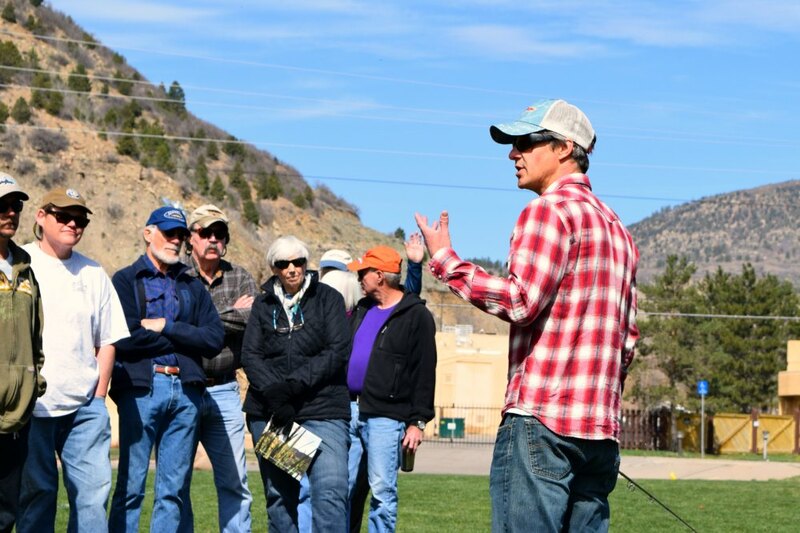 Many of us also enjoyed heading to the park for Sage rep Erik Johnson’s presentation on saltwater fly casting and then the 2 hours of rod demos from Sage and Scott rods. 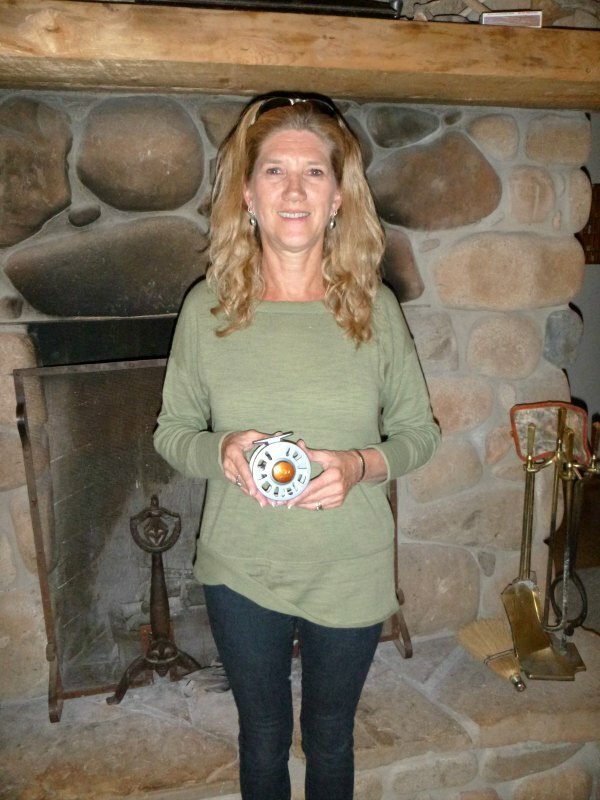 Everyone had their favorites…but I have to mention that the Sage Salt 6wt, Sage Accel 4wt, and the new yet-to-be-announced Scott saltwater 8wt were added to my “want list” after the day was done. 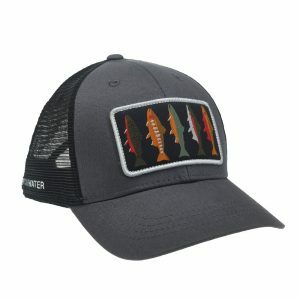 Caps, t-shirts, leaders, tippet spools, Exofficio bandannas and t-shirts, a Sage 4250 reel, Smith Chromapop Frontman polarized sunglasses, a full jar of Umpqua flies, Simms Headwaters Chest Pack, Simms Headwaters Full Day pack, Patagonia Sling Pack, Rio Perception Fly Line, Rio In Touch Gold fly line, Umpqua Rock Creek Chest Pack, Umpqua Ledges 500 waist pack, a pair of Abel Hybrid Hemostats, Scott Radian 5wt Fly Rod, and a full day Rio Grande float trip this summer. We had a great turnout this year. 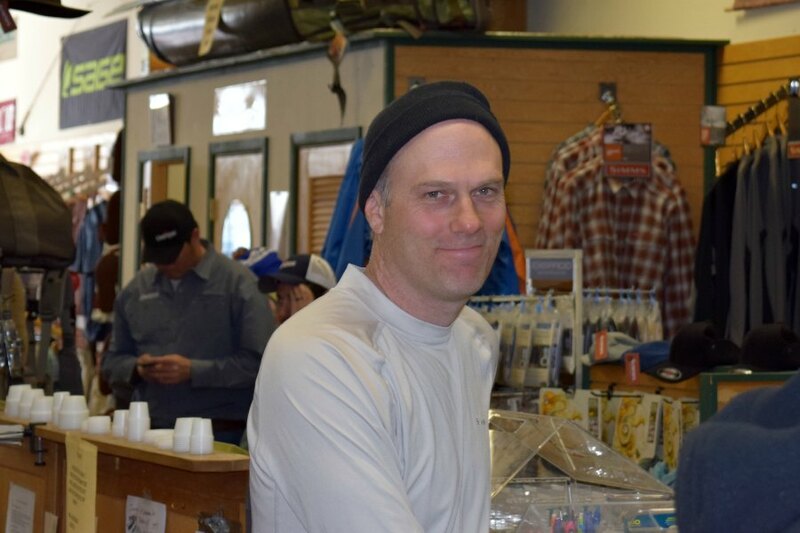 Thanks to everyone who attended and we hope to see you this summer in the shop or on the water. Here are a few photos of the events throughout the weekend. Jamie Allen guides fly anglers for many Florida saltwater species. His presentation on Friday night was extremely informative. Here he is guaranteeing the size of fish one can catch if they fish with him…or not. Tom drawing names for the winner of a pair of Abel Hybrid Hemostats. Trever acting as Tom’s Vanna White. 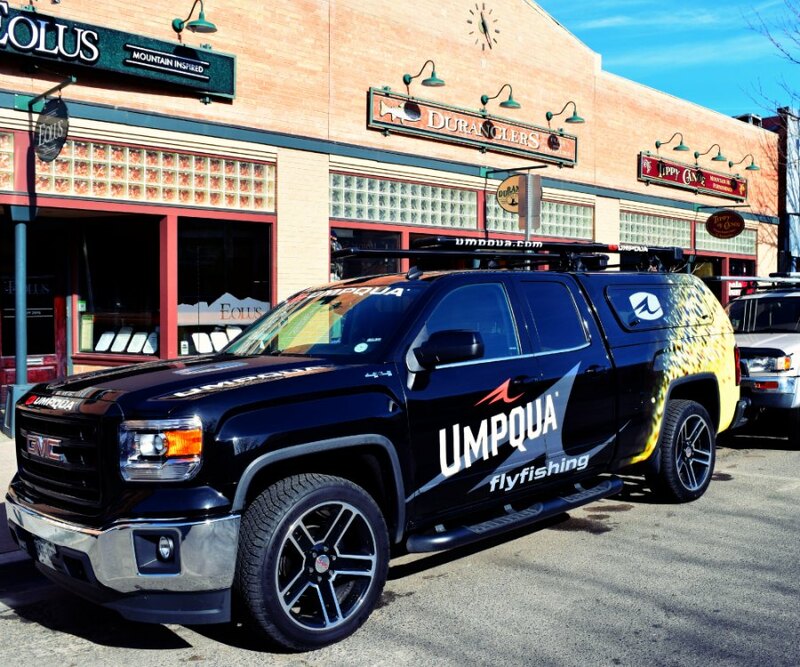 The view of the shop first thing Saturday morning with the Umpqua truck! Good Guy Chad. 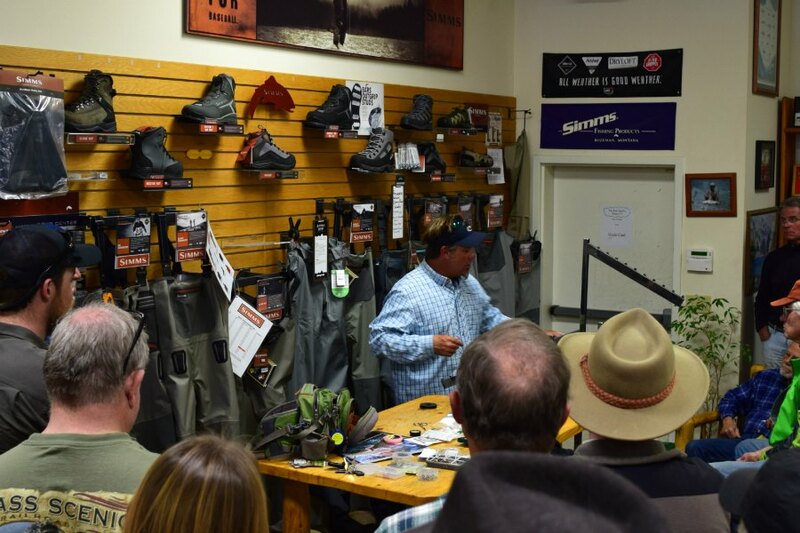 Chad Harkins is our Simms rep and presented the technical and practical aspects of layering while on the water with Simms jackets, pants, shirts, and waders. 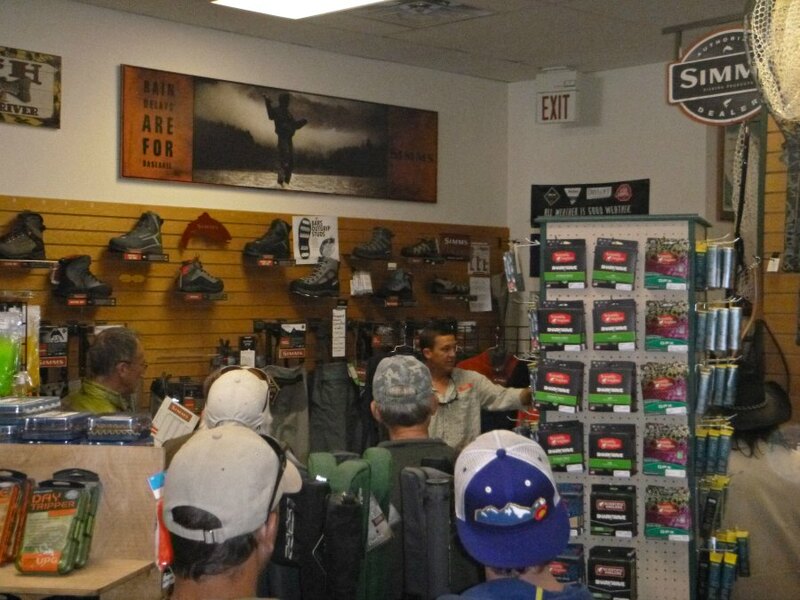 Our Patagonia rep Dave Allen discussing packs, bags, and wading boots from Patagonia. 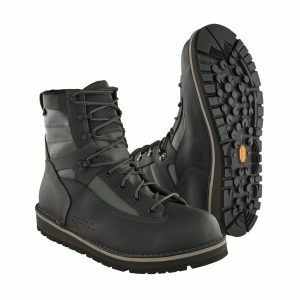 The highlight of the presentation was discussing the Patagonia Foot Tractors and just how beneficial they actually are. Derek winning a sweet sling pack from Patagonia. Dave holding down the fort in the midst of chaos. Jamie reppin hard at our casting demo. It was a great day at Santa Rita for Erik Johnson’s saltwater casting presentation. Beatle getting down to business with the Scott rod demo. 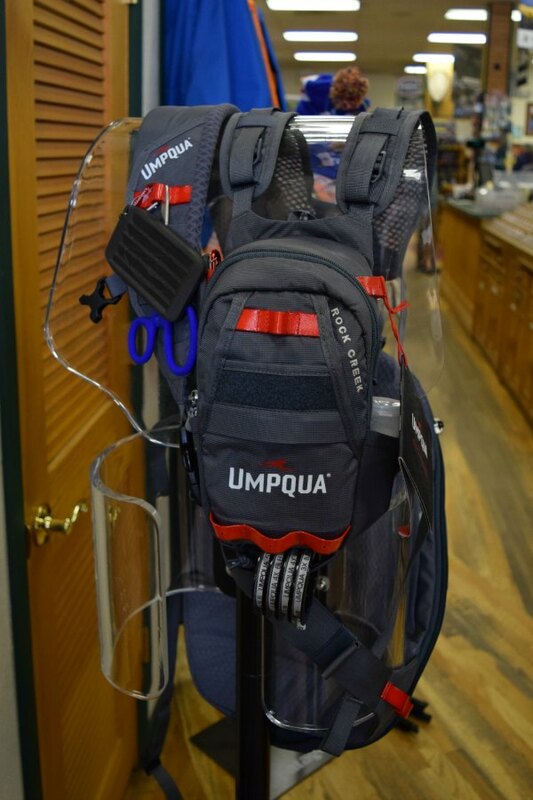 Josh from Umpqua set up this sweet display to showcase the new packs for 2015. 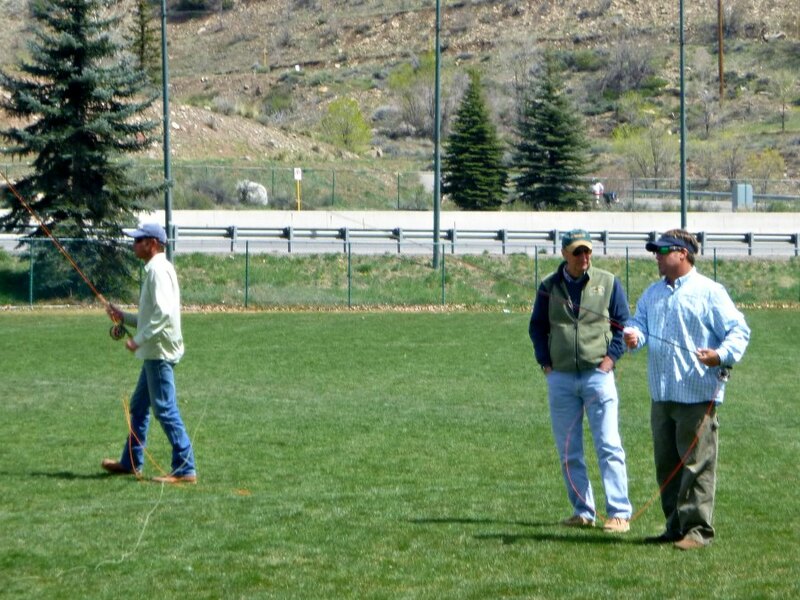 Frank Smethurst, Steve, and Scott pro Spencer demoing Scott rods. 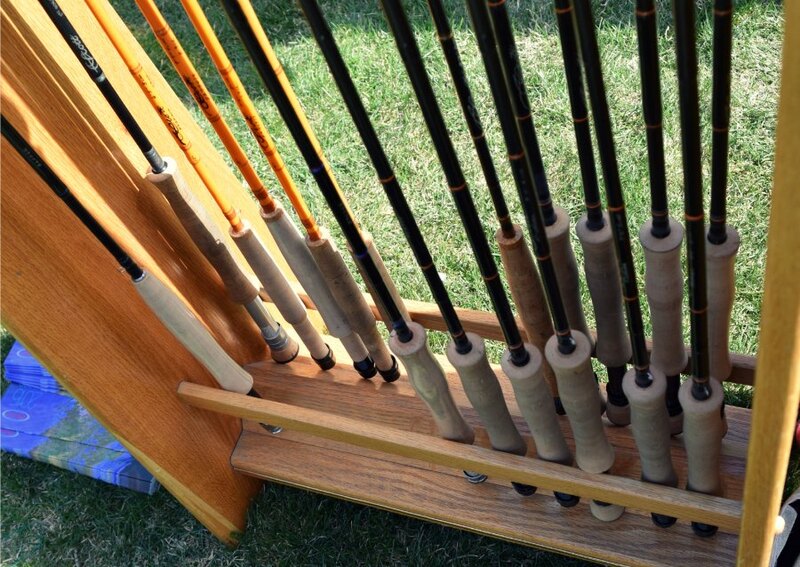 A solid lineup of demo rods from Sage. 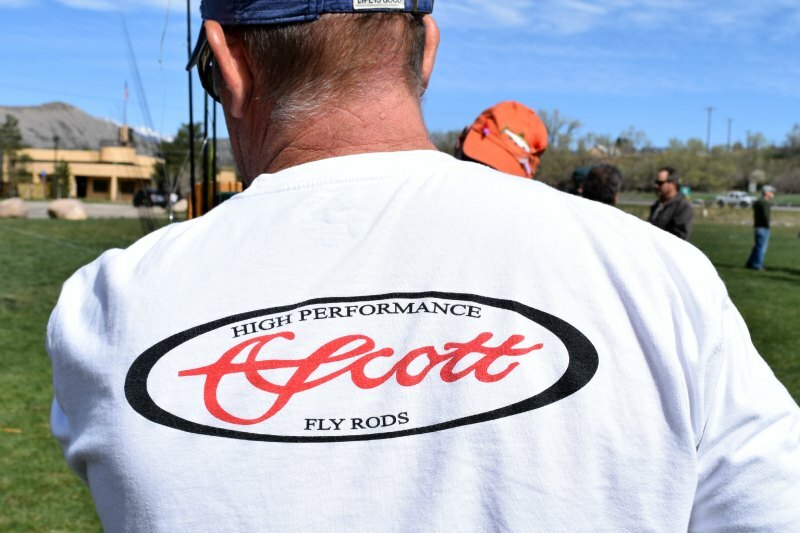 More demo goodness from Scott Fly Rods…right out of Montrose, Colorado. 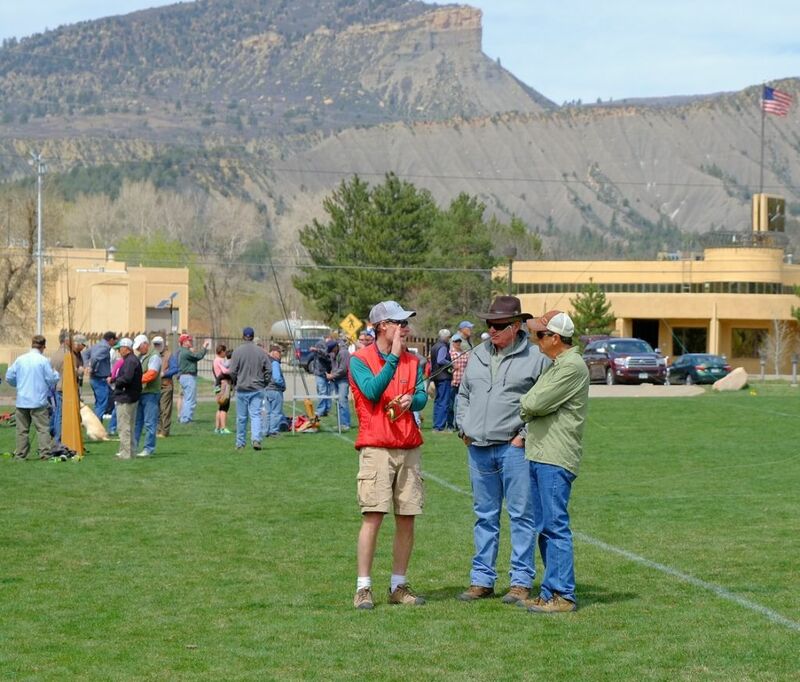 Trever discussing the finer points of robbing casinos….or maybe just fly rod casting. We were not close enough to hear the details. 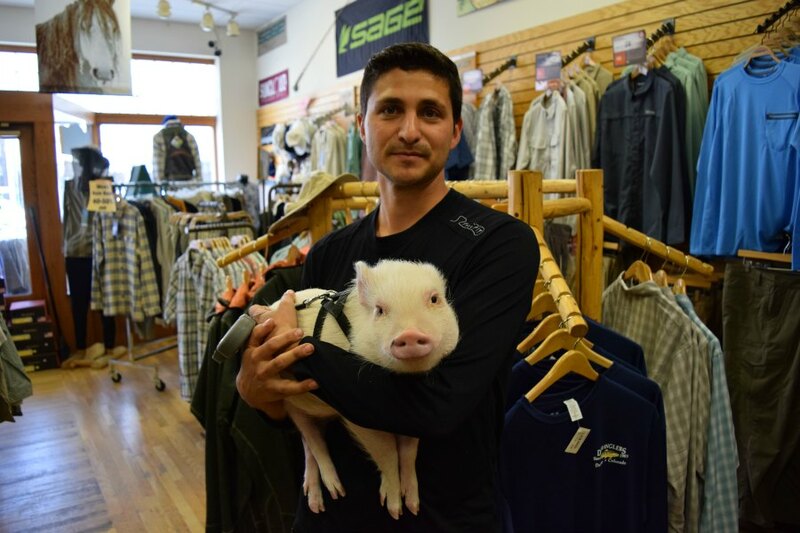 This was a first for the shop: a fly fishing pig attended the event! 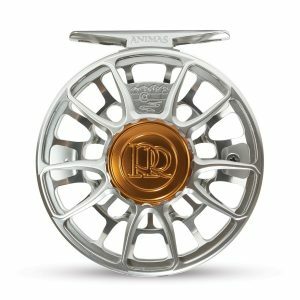 Frank Smethurst presenting some very interesting and creative ways to rig up your flies to maximize your trout catching potential. 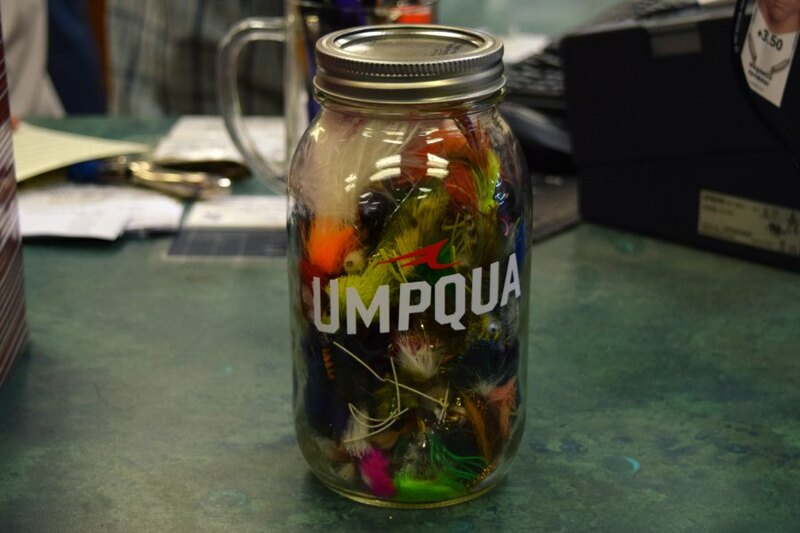 One lucky winner took this Jar-O-Flies from Umpqua home with them. This thing was completely packed with over 500 flies. 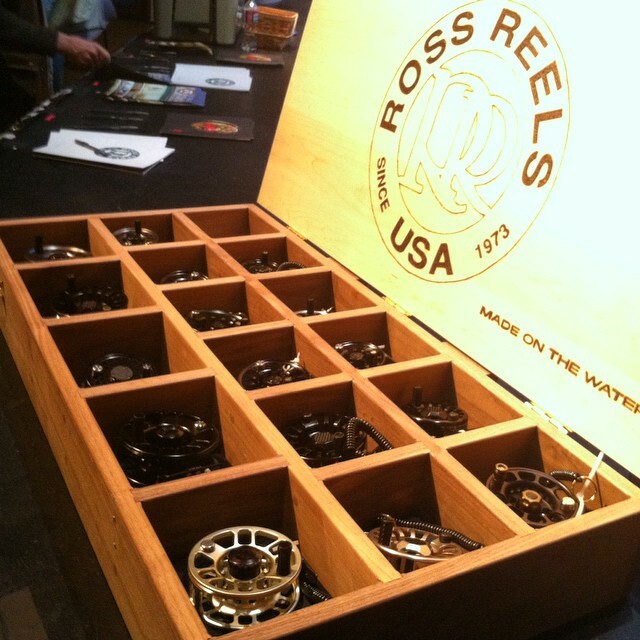 Finally, this was the epic case of Ross Reels on display at the Fly Fishing Film Tour the evening after our fest.